As the year’s end quickly approaches (despite the 80-degree weather, convincing us otherwise), we look back at some of 2015’s biggest moments in pop-culture. Harper Lee released “Go Set a Watchman,” to the excitement of all “To Kill a Mockingbird” groupies. Caitlyn (formerly Bruce) Jenner graced the cover of Vanity Fair. Left Shark became the real star of Super Bowl XLIX . (and our personal favorite) Don Draper discovered Coca Cola. RIP Mad Men. So why are we, a branding and marketing firm, discussing 2015’s media sensations? Because all of these events, and the sheer magnitude of the publicity that surrounded them, prove pop-culture is now an essential component in successful brand marketing. By piggybacking on trending hashtags, viral events and popular platforms, brands are able to reach millions and millions of consumers, not just their initial target-demographic. Here are a few of our favorite 2015 pop-culture marketing campaigns (and one from 2014 that’s too good to pass up). One simple dress turned into 73-million Tumblr views, international reporting, celebrity discussion and one half of the population disagreeing with the other. Adobe’s social media team quickly noticed one user’s tweet, which mentioned their brand and immediately acted, re-tweeting and “ending” the debate. 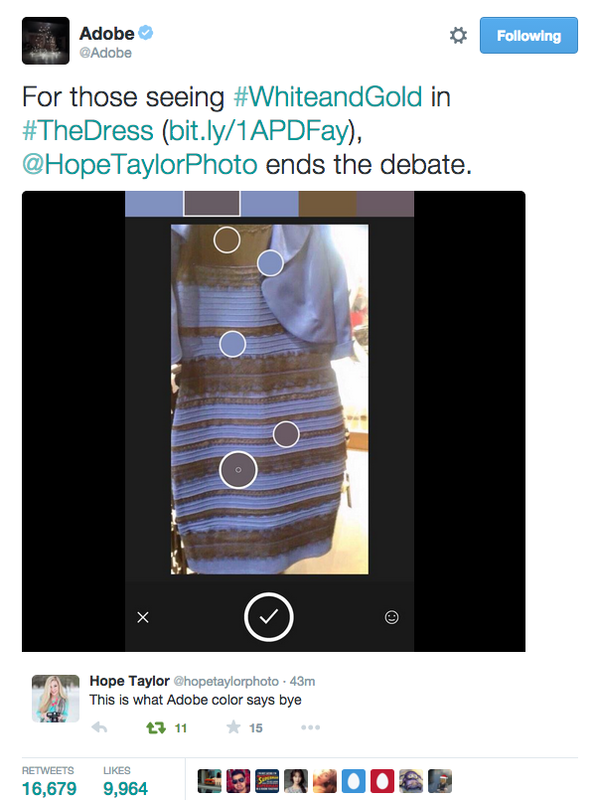 #TheDress was the top-trending hashtag on Twitter for days. With no “experts,” lending their professional opinion, the public waited for an answer. Adobe seized the opportunity to give it. By using their “Capture CC” app, a mobile app used to determine exact colors in photographs, Adobe became the foremost authority on #TheDress debate. Their social followers, app downloads and brand visibility saw an immediate increase. When people are bombarded with negativity daily, a chance to do “good” is always welcomed. Honest Tea, whose company mantra is to be honest and transparent in all aspects of business, gave people the chance. 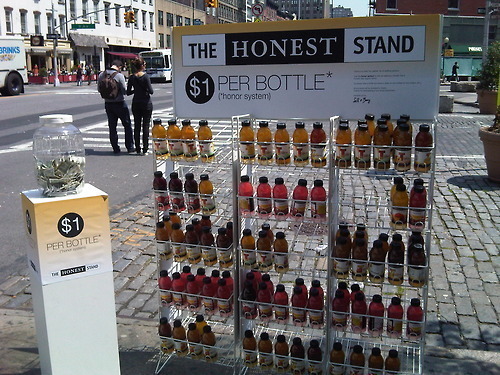 The concept was simple: racks with Honest Tea products were installed in major U.S. cities with “$1 per bottle. Honor System”-signage and a box for the payment. People had to decide to pay or not. P.S. As of today, America’s most honest segment: a brunette woman living in Atlanta. In mid-2015, Hefty launched their new “Ultimate Easy Grip Plastic Cups.” After researching shopping trends, they found their target audience were the shoppers-of-the-family, moms. Their goal was to create an advertising campaign targeted towards the family matriarch, while also showcasing moms in a different role. Enter Tween-lingo. “like literally,” I can’t even,” “bae,”…we won’t subject you to the rest. Hefty added this language to cardigan-wearing moms’ dialogue and a genius marketing campaign was born. Moms are much more complex than just the caregiving-persona often given to them. Hefty brought this to light, in a light-hearted way. To date, their videos have a combined play-count of more than 7 million. With their latest ad debuting last week, it looks like the success hasn’t slowed down. Snapchat, one of social media’s newcomers, has quickly become the favorite social platform for one of the hardest-to-reach advertising demographics –Millennials. With more than 100 million daily users, brands have started to realize the importance of this 10-seconds-then-gone photo platform. WWF, the international non-profit organization founded to preserve nature, noticed a drop in donations, especially within the Millennial segment. So they chose Snapchat as the platform for their latest campaign. 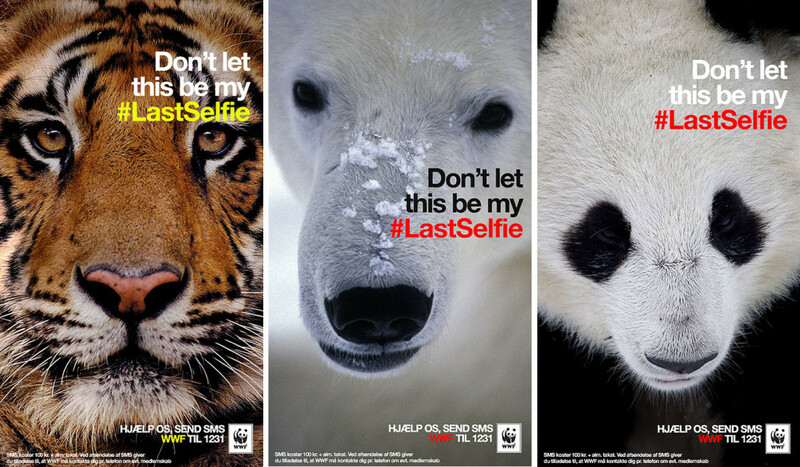 They created 6-second images of endangered animals with copy, ending with #LastSelfie. WWF’s goal was to raise awareness about the endangered animals that were quickly disappearing and ultimately increase donations. Like a Snapchat photo, once gone, these animals are gone forever. In one week, #LastSelfie was shared more than 40,000 times and seen by more than 120 million users on Twitter. Hey, we’re even still talking about it now. As opportunities for situations to instantly “go viral” continue to present themselves, so do the opportunities for brands to market to the masses. We can’t wait to see how marketing teams include social trends to magnify their brands in 2016!